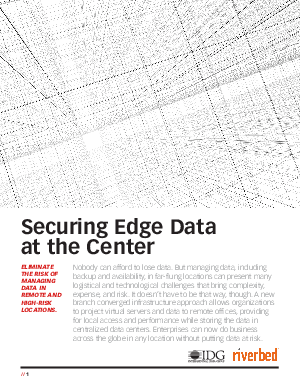 As enterprises grow and expand the role and number of branch offices, it often results in data and applications being managed in locations that are difficult to support and protect. Unlike data centers built to secure IT systems, remote offices generally lack the same level defenses subjecting business data to a variety of threats. Branch converged infrastructure now makes it possible to eliminate the risks of branch office IT, consolidating servers and storage into the datacenter without sacrificing any of the benefits of having servers at the edge close to users.